Unicorn Squeeze Popper | Add a shot of magic to your party! Add a shot of magic to your party! For magical enjoyment whever you pop! Ah-ah-ah-CHOO! This little cutie just sneezed out a pink foam ball! 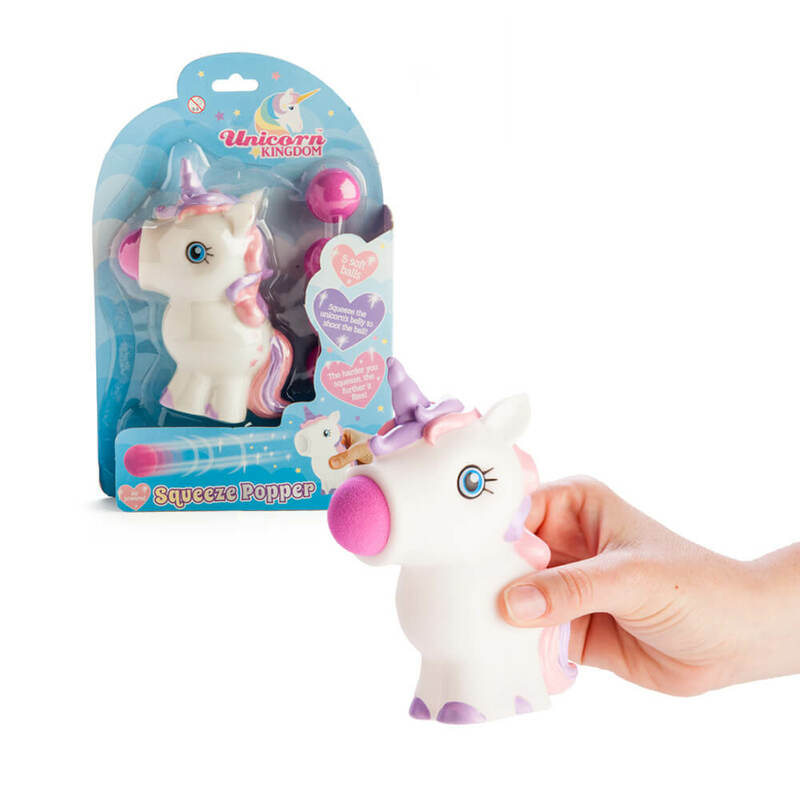 Step into a magical realm of ball-popping fun with this magnificent air-powered Unicorn Popper. Load one of the pink foam balls into your magical Unicorn's snout, and give his belly a nice strong squeeze. Watch as the ball goes soaring into the air with a satisfying POP! The harder you squeeze, the further the balls will fly. Launch all 5 balls at an unsuspecting target for the cutest little ambush that you'll never see coming! 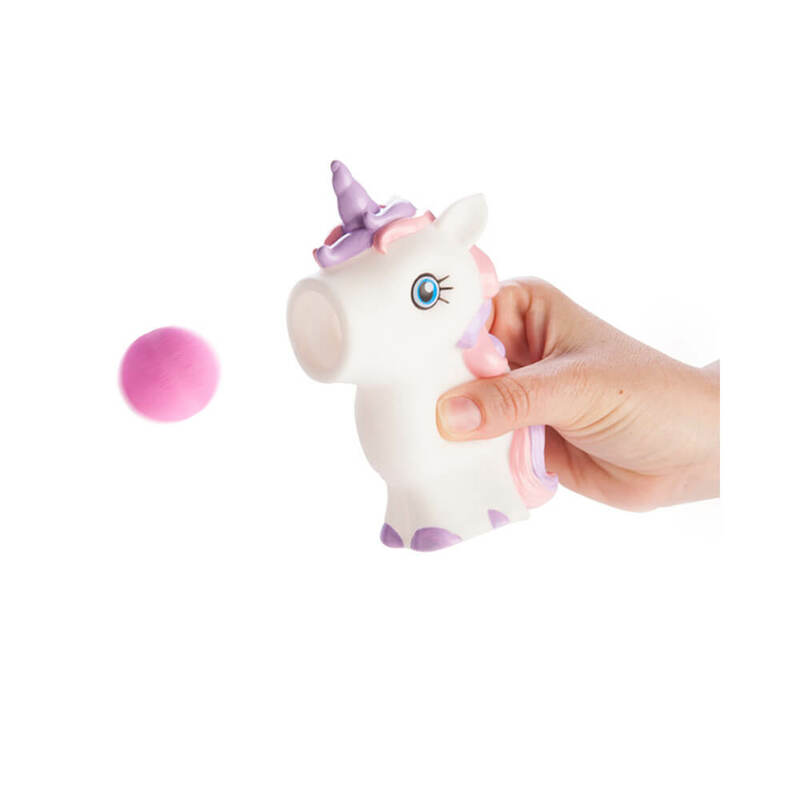 You will receive: 1 x Unicorn Squeeze Popper and 5 x foam balls.